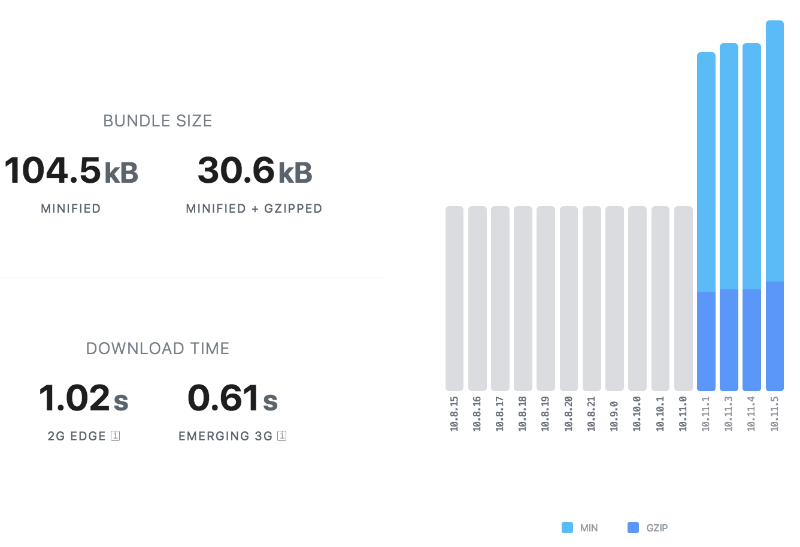 At some point, you may realize that all those packages you’re conveniently npm installing are actually causing quite the bloat in your library or your application. Here are some tools that will help you monitor that and find where the size is coming from. I recently discovered this tool called Size Limit. It’s my favorite of its kind so far. It will alert you once the size of your bundle gets over a certain threshold size (think CI integration). It uses webpack. From there, you have some insight into what is eating up all that space. (Probably lame stuff.) The cool thing about Size Limit is that it uses webpack, like a real consumer app of a lib (I’m building libs) would do, and so it pulls in all the dependencies that are needed for a more real-life bundle. There are other similar tools to this like bundlesize. Its config and usage are nearly identical. 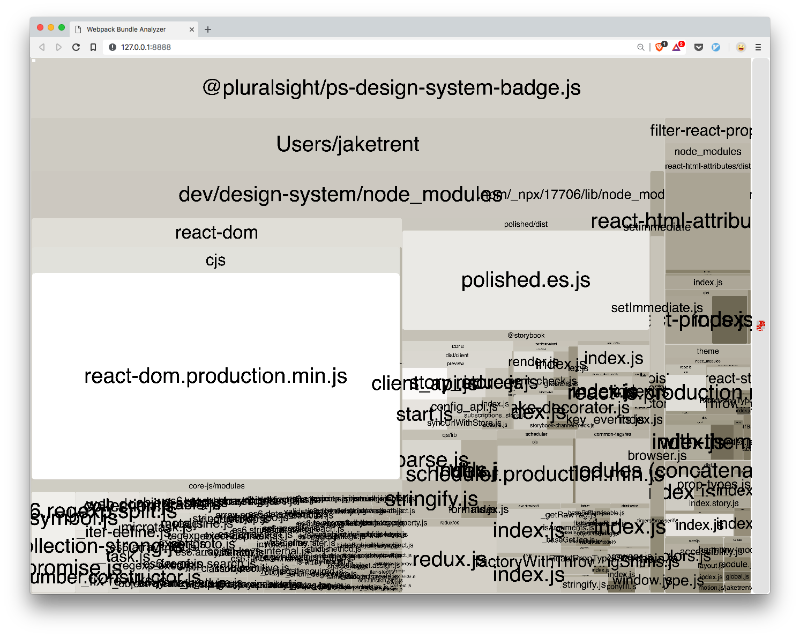 From my usage so far, it seems like the main difference is that it does not use webpack and doesn’t include the nice size breakdown ui. It’s nice because it allows you to analyze already-live code without any configuration. It’s a simple and quick way to get a peak into what a package is made up of. Again, there are couple similar alternatives here. Package Phobia is extremely similar in what it offers, minus the breakdown graphic. And for the cli lovers out there, there’s Cost of modules util. How do you monitor the size of your bundles effectively? Why do you do it? Any great utils?